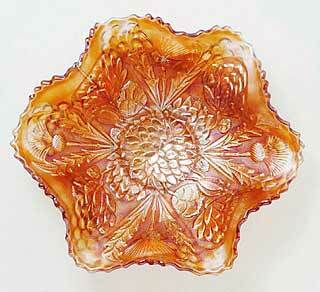 Alternating lotus blossoms and thistles. 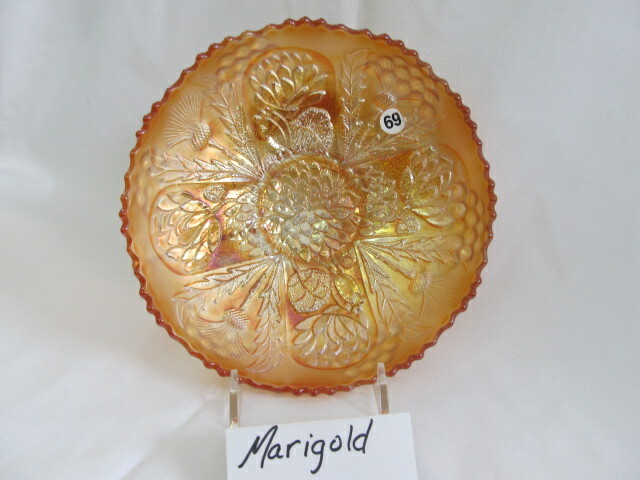 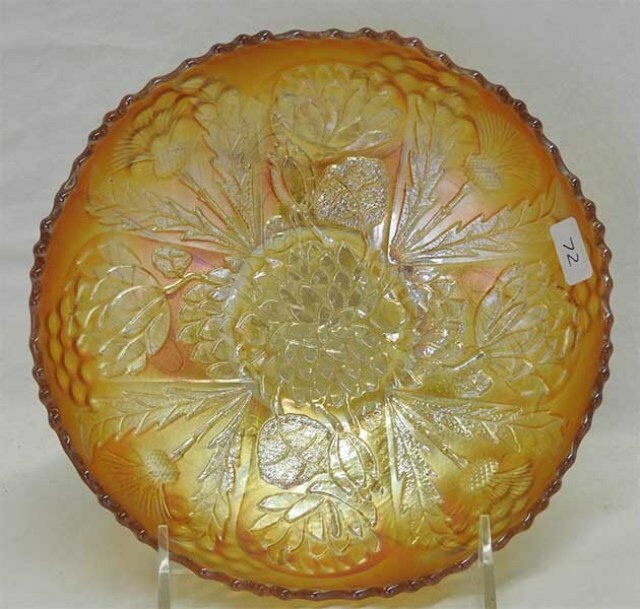 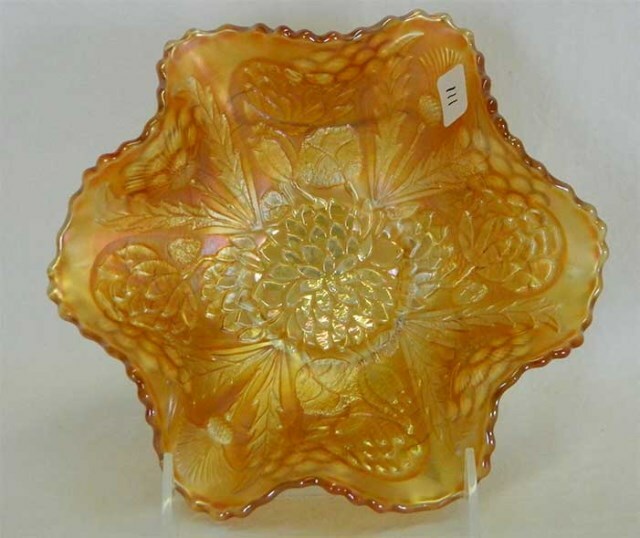 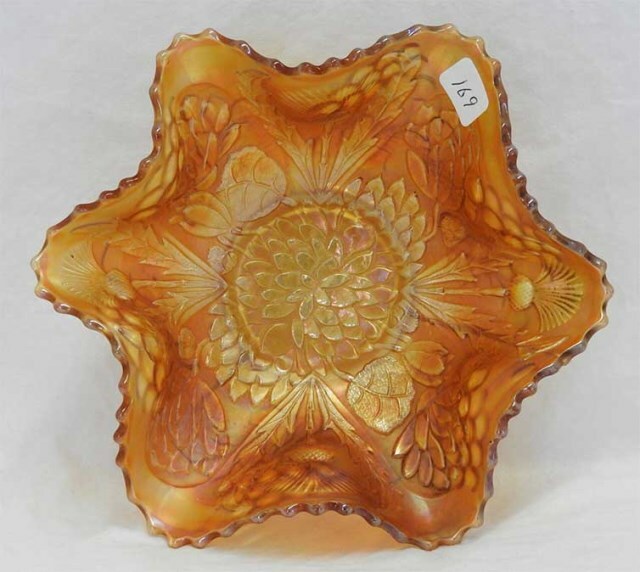 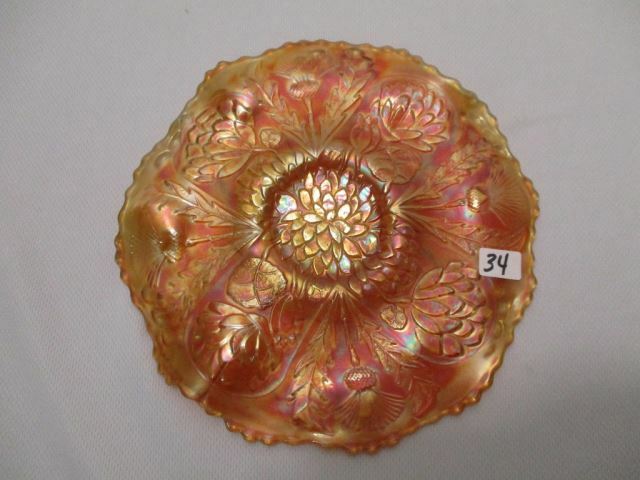 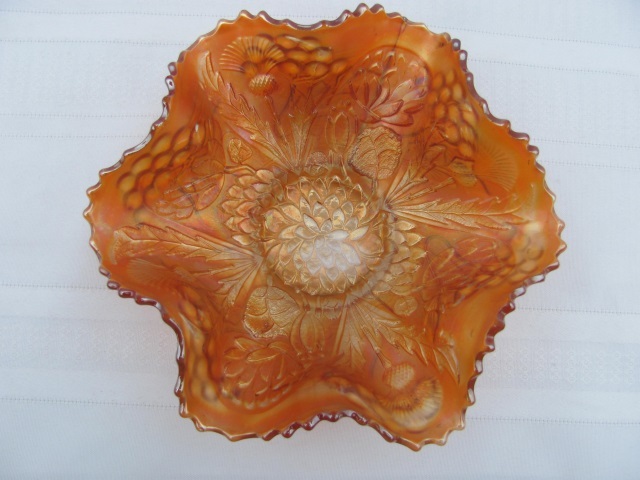 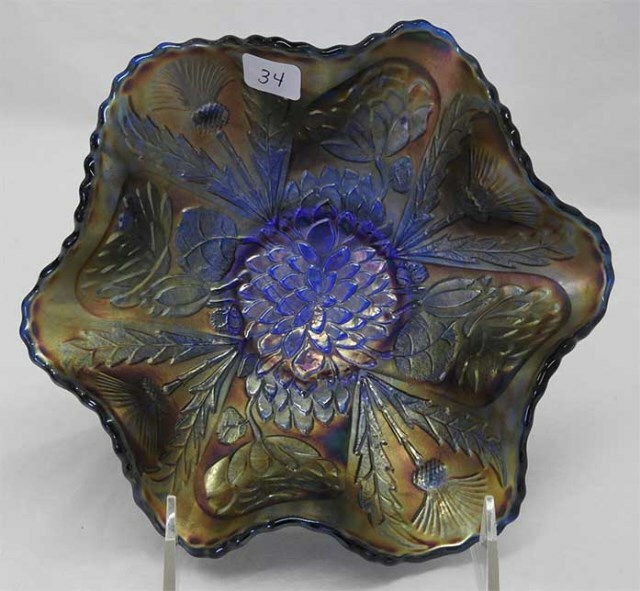 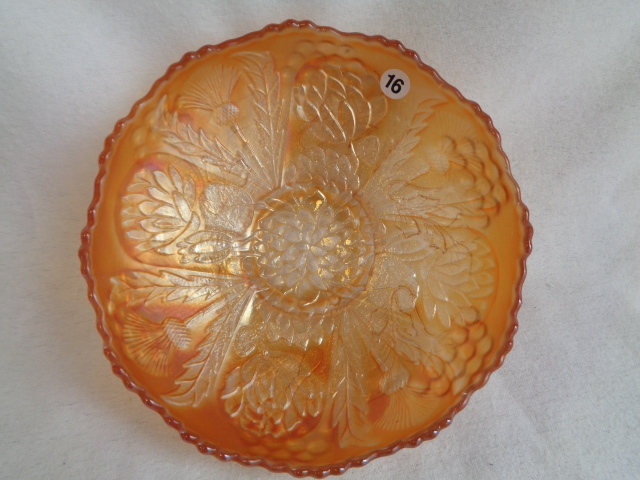 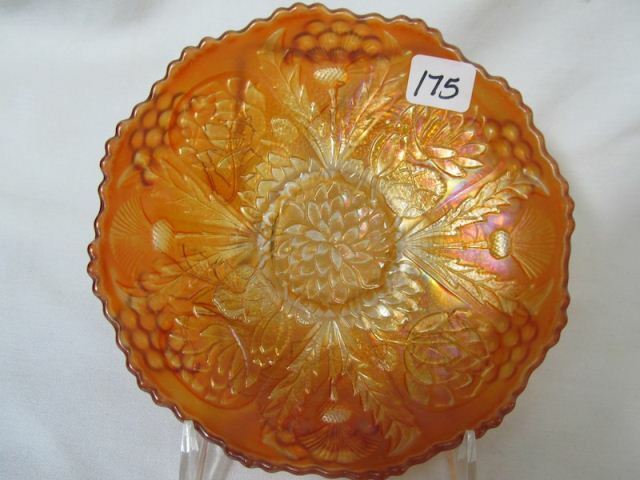 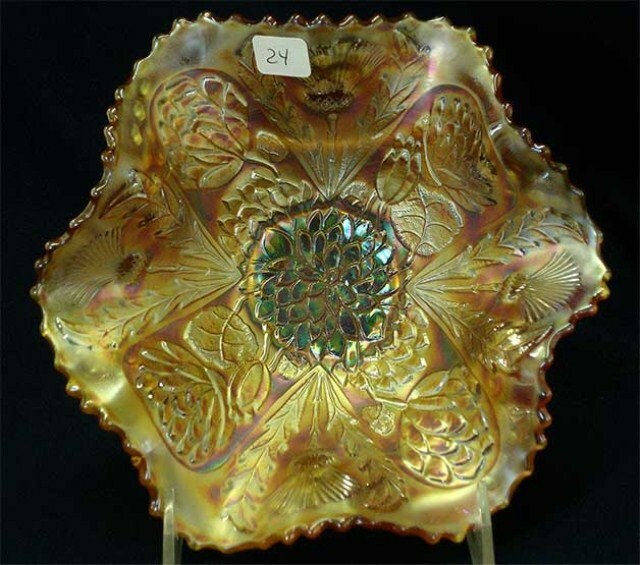 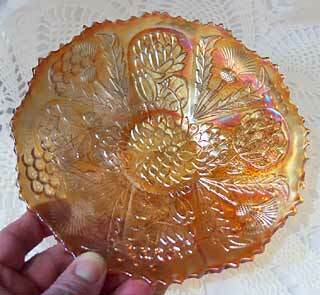 Quite a rare pattern, but with a price range of just $25 to $50 for marigold 7-inch bowls. 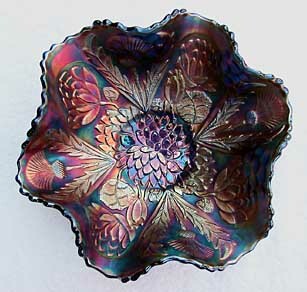 In the center is a blue ruffled Lotus & Thistle and was the first reported. 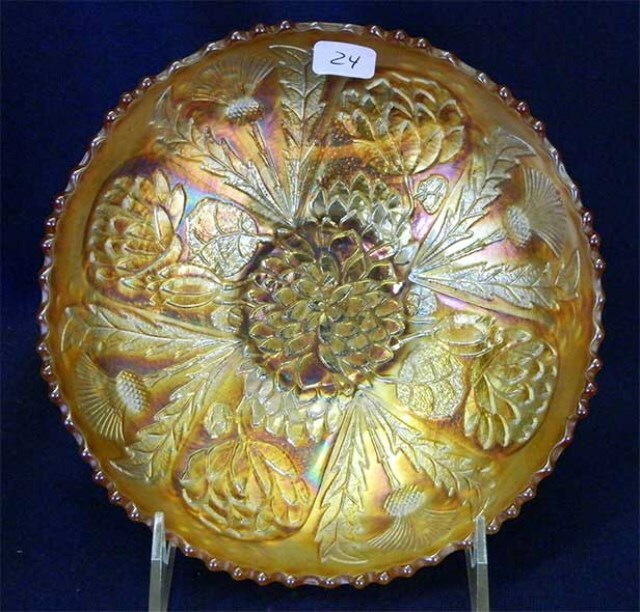 The photo is courtesy of Duane and Norma Uusitalo. 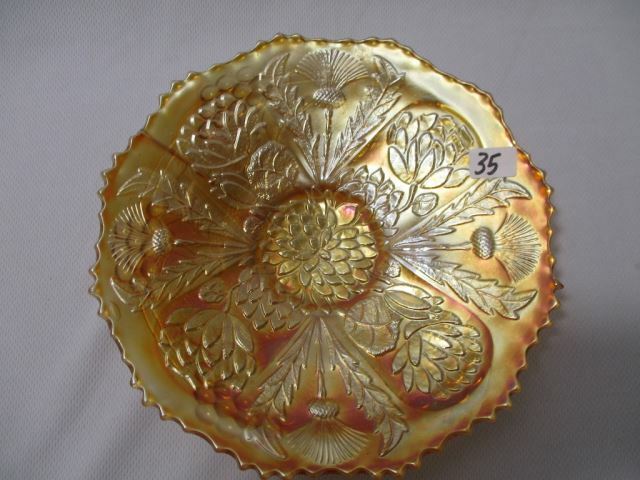 Above right is the only Lotus & Thistle plate reported. 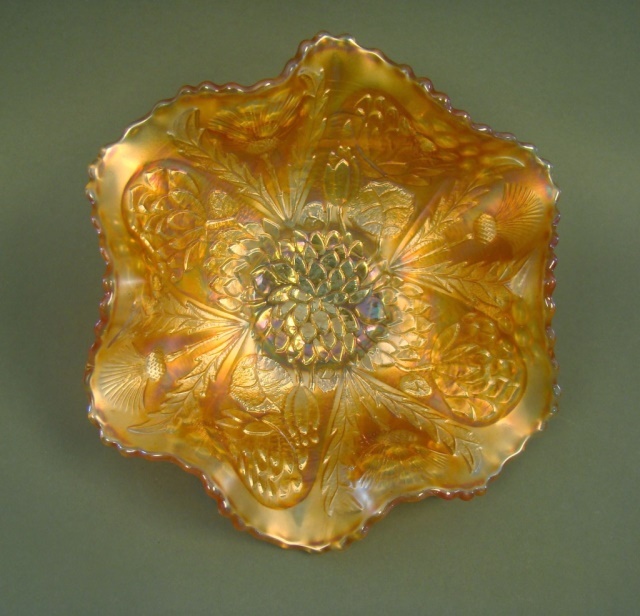 This photo was sent by Kandis Richmond in 2006. 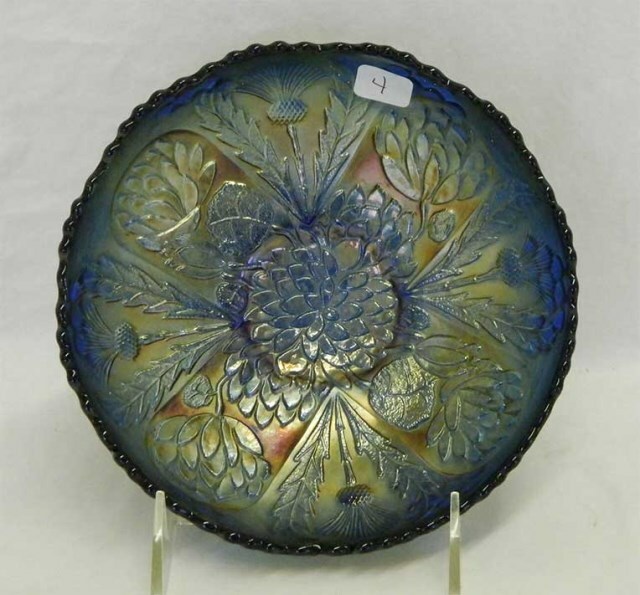 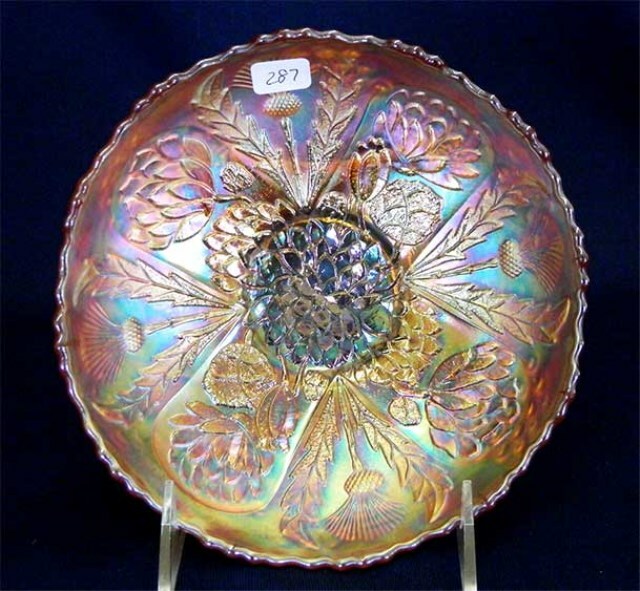 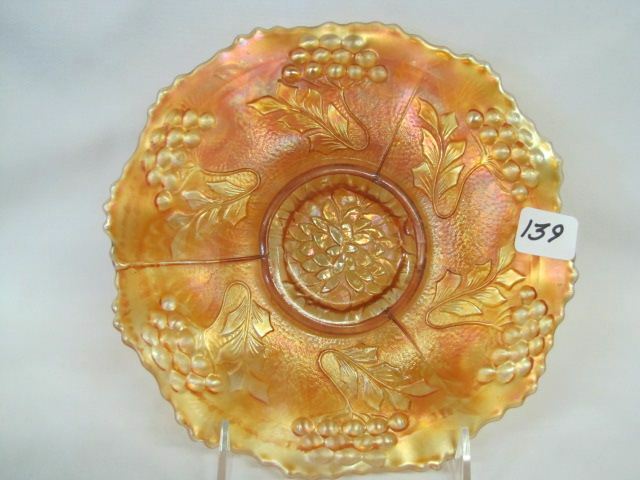 In 2010, the plate was sold at a Mickey Reichel auction to Phil and Sandy Kay for $700.